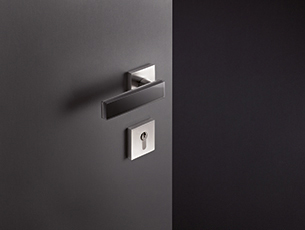 The purist lever handles of Range 180 stand for linear architecture. The red dot award-winning design of the lever handles range is based on clear, basic geometric shapes. The range is made of solid stainless steel. Fine glass enhances the high-quality Range 180. Coloured glass is applied directly on the stainless steel lever handle, so that the glass appears to float on the lever handle. 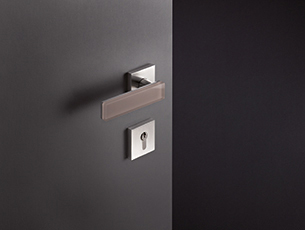 These glass lever handles are available in the colours white and black. 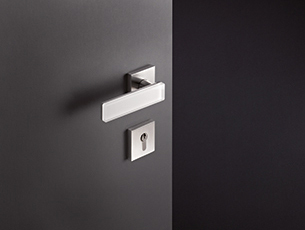 The lever handles can be combined with matching window handles and with the GIRA switch range Esprit.